Your medical records are a compilation of your medical history dating back to when you were born. 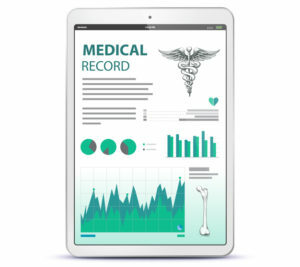 While all those records might not be housed with one doctor, in their entirety, medical records entail your health history from diagnosis, and conditions, to test results, imaging, and standard checkup notes. It’s always a good idea to have copies of your medical records. You might think you will never need to obtain copies of your medical records, but that simply isn’t true. In fact, there are several reasons why you might need to present your medical records. One is if you need to provide immunization records when applying for a school. Additionally, if you are switching doctors for any reason, whether it’s due to a move or personal preferences, your new physician will want to review your old records. Finally, if you ever want to compile a family medical history, obtaining medical records is a good way to ensure that everyone is working with accurate information. Getting copies of your medical records can be a bit difficult. You have to call the facility where they are being housed, and put in a formal request. Then you’ll have to wait for them to make the copies, drive there and pick them up. It might seem easy, but there will be plenty of time waiting on hold and dealing with other frustrations. Can someone help me get copies of my medical records? Yes! At Order Medical Records, we specialize in helping people obtain copies of their medical records. All you need to do is submit your order and then leave the rest of the work up to us! How does Order Medical Records work? At Order Medical Records, our ordering system is entirely online. That means you don’t even have to leave the comfort of your home to start your order. Simply place the order for your records online, and then we’ll do the rest! We will dispatch a document retrieval specialist to obtain the requested copies and return them to you in whichever media specified in the order. When it comes time to obtain copies of your medical records, you certainly aren’t going to want to go at it on your own. The process is frustrating and time-consuming and if you live out of the area, it can be downright impossible to navigate. That is why Order Medical Records offers the medical record retrieval services that you need. Our ordering process is simple—as easy as 1, 2,3, really—and affordable. All you need to do is submit your order via our online platform and then wait as we do the work for you. It really is that easy, so if you’re ready to get started, visit us on the web at Order Medical Records to start the ordering process.